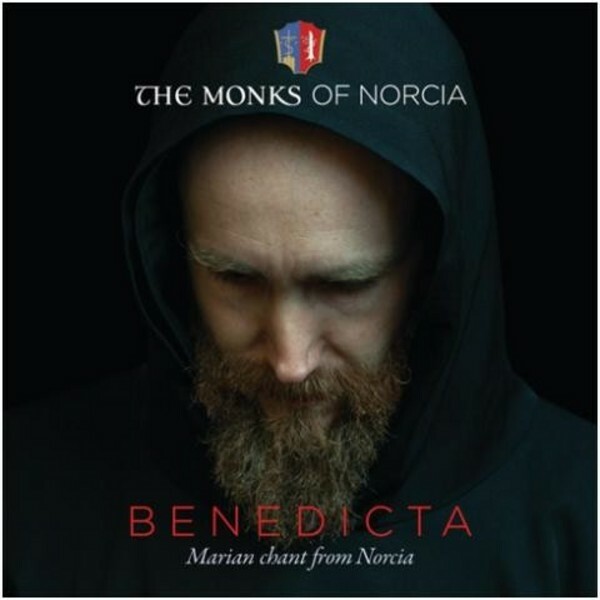 The Monks of Norcia team up with 11-time Grammy Award-winning producer Christopher Alder and Grammy Award-winning sound engineer Jonathan Stokes to release 'Benedicta: Marian Chant from Norcia', an album of stunning Gregorian chant that transports the listener to the Monks� idyllic monastery in Italy. Their debut album on De Montfort Music/Decca/UMC, Benedicta consists of 33 tracks of Marian chant, including the well-known 'Regina Caeli' and 'Ave Regina Caelorum' as well as original and previously unreleased songs. The Benedictine Monks of Norcia (Italian: Monastero di San Benedetto di Norcia) are a monastic community located in Norcia (formerly Nursia), Italy, in the extreme southeast tip of Umbria beneath the slopes of the Sibylline Mountains. The current monastery is physically located above the 5th century ruins of the house of St Benedict and his twin sister St Scholastica, and has been the location of monastic communities since the tenth century AD. The current Benedictine community was founded in Rome on September 3, 1998, by several men from the United States, including the current prior who, before founding the community, was in the world-renowned music program for voice at Indiana University. They were charged by Rome to care for the Basilica of San Benedetto (built over the birthplace of St Benedict and St Scholastica) and for the many visiting pilgrims. The monks chant several times per day and pray in monastic silence. They have gained a following worldwide, particularly in Italy and the United States, through their brewery, which produces their original brew called Birra Nursia.